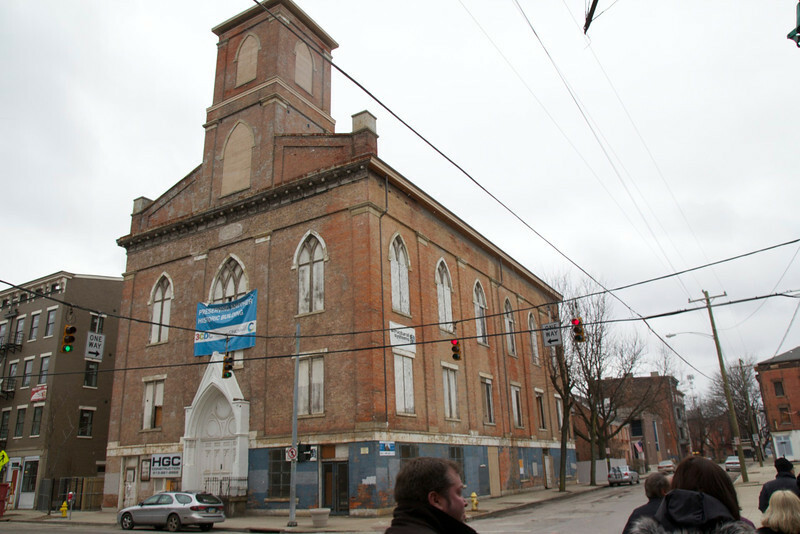 This, I believe, is the outside of Prince of Peace in Over the Rhine. I should know for sure, but it was 28° the day we toured, snowing, and the wind was blowing. The tour moved quickly and I was doing my best to tote my bag of lenses, listen to the guide, and try to remember what I was shooting.